The "blades" are formations of swamps coming from coves abandoned by the river and have modified the river's flow. This natural oasis contrasts clearly with the surrounding landscape characterized by the rice single-cultivation. Here, in fact, is the reign of canes field, the yellow nannufari (type of bird) on the still waters of the blades, and the willow trees on the banks. This is an ideal habitat especially for aquatic bird populations: herons, dwarf herons, night herons, cormorants and some rarities such as spoonbills and sacred ibis.  In Albano Vercellese, headquarter of the Agency's management, the Lame del Sesia's Ornithological Museum has displayed approximately 500 examples of wild fauna and has sections dedicated to botany, geology and entomology. Oldenico's Isolone Special Natural Reserve, part of the Lame del Sesia Park, houses a garzaia (typical swamp-like home for the herons) among the most populated in Italy , where dwarf herons, grey herons, cormorants and guardabuoi herons nest. In the appropriate periods, it is possible to go bird watching in the observation huts equipped by the Park. However, this is not the only great "city" of the herons: Villarboit's Garzaia has been the Piedmont Region's Special Natural Reserve since 1990. The protected surface is formed on one side by poplar trees and rice cultivations, and from the other by a coppice-wood forest with black locusts, rustic elm trees and black alders. Other place of nesting the Ardeidae is Carisio, on the right bank of the Elvo torrent, with Carisio's Special Natural Reserve. In this plain area, night herons, dwarf herons and grey herons "have found house". Carisio's Garzaia and Villarboit's Garzaia are not open to public.